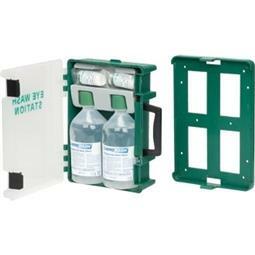 Eyewash kit that is wall mountable. It includes all the recommended HSE items and is CE marked. Dimensions: 250mm (H) X 190mm (W) X 90mm(D).